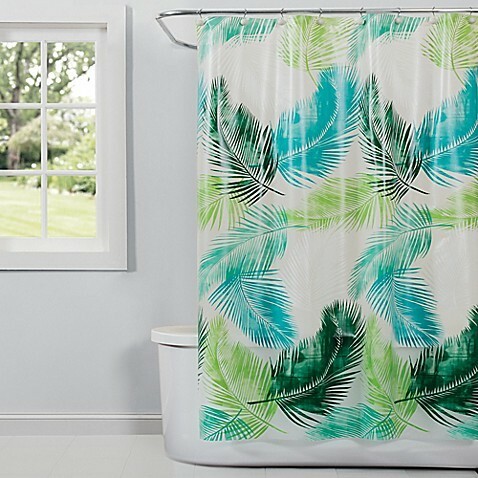 Bring a bit of tropical flair to your bathroom with this Saturday Knight Ltd Palm Shower Curtain and its blue and green frond design! This shower curtain is crafted from resilient PEVA vinyl. Buttonhole openings along the top provide a secure attachment point for shower hooks! Dimensions: 70 L x 72 W in.